Tweeting An Emoji To @Google On Twitter Can Get You Anything. Every day about 21 million tweets which get sent every hour and out of which nearly 600,000 of those contain at least one emoji. Whereas according to a recent survey, 74% of people residing in the U.S constantly use emojis at a scale of approximately 96 per day on an average basis. 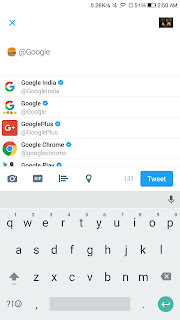 So Google has come up with an interesting idea leveraging the power of Twitter and in turn helping us users to find things better in a much more clear manner. Whereas since most of us believe that we live in a mobile-first world, it's pretty easy to predict that this move gets targeted towards mobile users. So starting from today itself, One can tweet to Google with any Emoji, May that be Food, shopping, Movies, Shoes, etc. 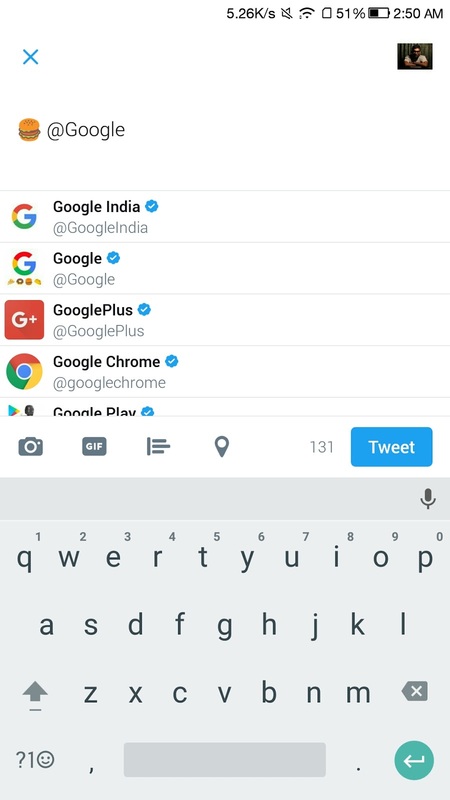 Just Enter any emoji you want, while tweeting it to @Google and Google will find the relevant information regarding that same emoji, tweeting you back with the nearby shops/stores/restaurants/cafes. This tweet also contains proper directions to the same local shops. So let's say I chose a Shoes Emoji and tweeted it to @Google. The very next moment I received a tweet with the stores providing sneakers nearby my area. This could shape the way we discover things and get them. This has to be essentially a fabulous move, and it seems like a portal connecting the offline market with the Online world. So indirectly Google wants to make all these offline stores accessible to everyone with a click of a button. So next time you're hungry, try tweeting food emoji in specific and let Google do the job of finding the best restaurants nearby you. Whereas different results are triggered depending upon the 200 Distinct emojis requested by the user. So have fun exploring and let us know in the comments below or by tweeting us the craziest replies you've received from Google. Whereas you would also discover few Easter eggs in this fun process.